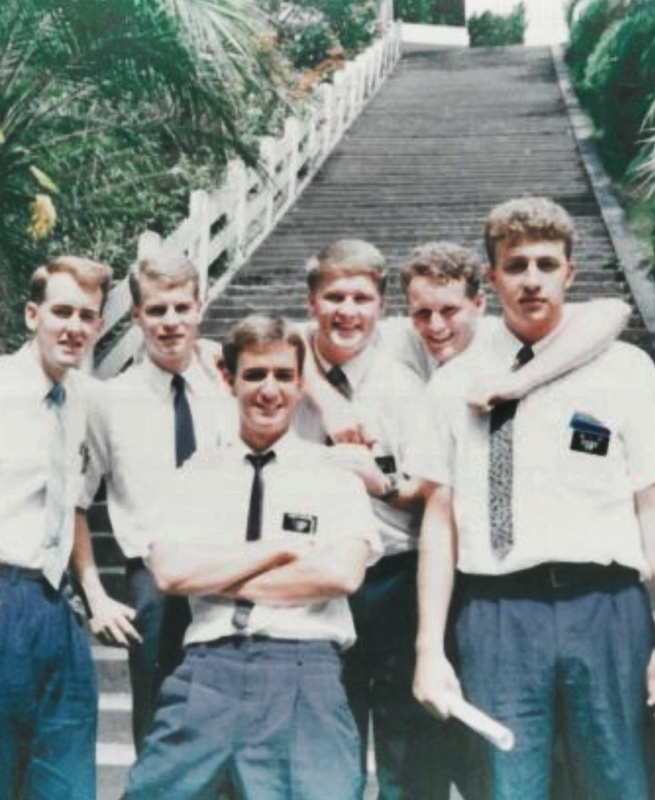 About 25 years ago I lived in Taiwan for a couple of years (I was on an LDS mission). Third from the left is young skinny me. We didn’t eat at fancy restaurants, and there wasn’t any fast food in the southern half of Taiwan where I was. also, we weren’t very good cooks. So I ate a lot of street food, Night Market food, and self-serve diner food (自助餐). 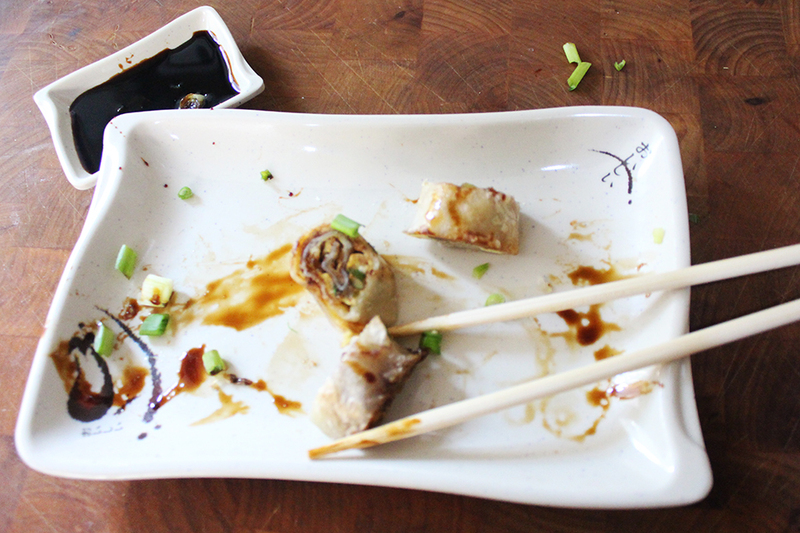 I loved the food – especially the 餃子 (dumplings) and the 牛肉面 (beef noodles). But my ultimate favorite was breakfast. I still miss Taiwan breakfasts. We would go to a little cart, or a tent, or a stand on the side of the road, and get 肉包 (steamed buns stuffed with meat – we didn’t really do the vegetable ones) , 燒餅, 油条, and of course my ultimate favorite, dan bing (蛋餅), all served with a big bowl of hot 豆漿 (soybean milk) that was ladled out of a giant pot by a little old Taiwanese person. By the way, that soybean milk seemed a lot better than the “soymilk” you find all around these days. That will be a recipe for another day, I think. I went back for a conference when I was a professor at Georgia Tech, and of course immediately went out to the street to get breakfast. One of the other conference attendees told me I shouldn’t – that I’d get “brain worms.” Well, I avoided the brain worms, but what happened was almost worse. The man with the cart gave me soymilk in a little sealed plastic cup!!! I would almost have preferred the brain worms – I really missed the old days with the old person and the giant pot of soybean milk. …but the Dan Bing was the same. The greatest breakfast food known to mankind – and I say that knowing my Southern neighbors will rise up in defense of biscuits and gravy (which is also delicious, by the way …and perhaps a post for another day). 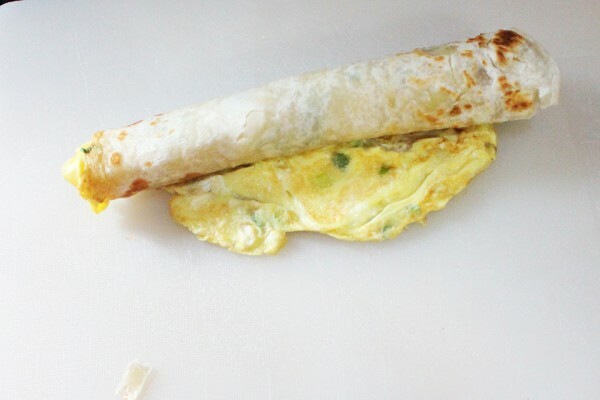 I hadn’t heard it called egg crepe until recently, and I’ve never managed to find it here in the US. But Cyndi has figured out how to make a quick and easy approximation using tortillas, and it is DELICIOUS! 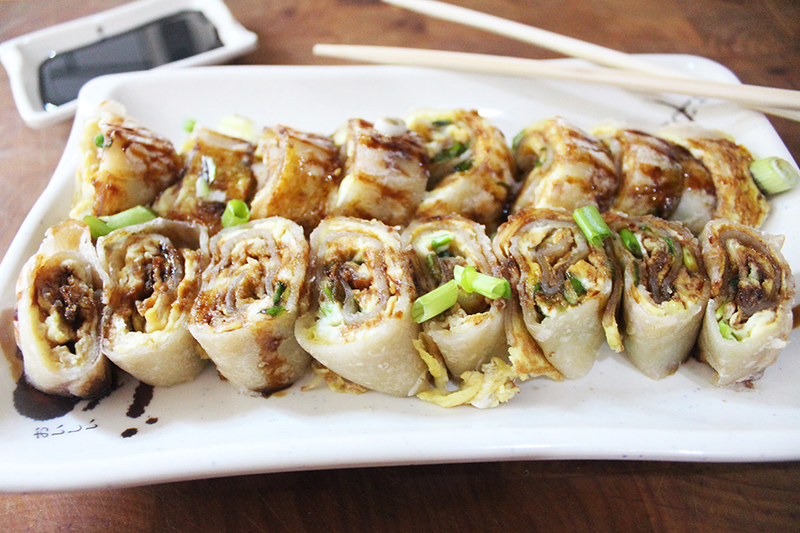 A simple take on a classic Taiwanese street breakfast food. 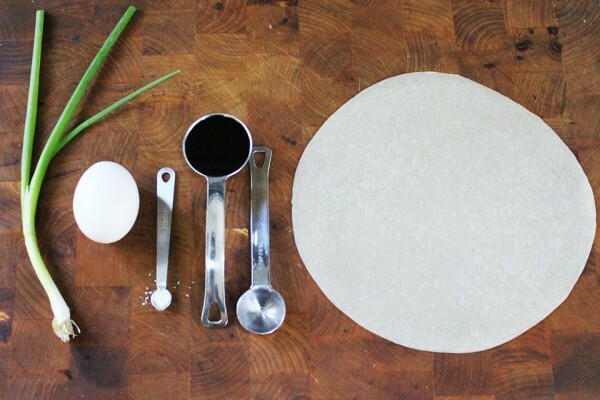 Using flour tortillas makes it a quick and delicious everyday breakfast. 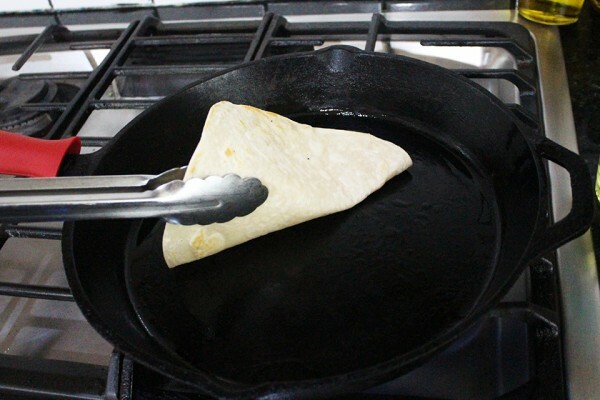 Over medium-low heat, add oil to frying pan and lightly fry tortilla on one side. 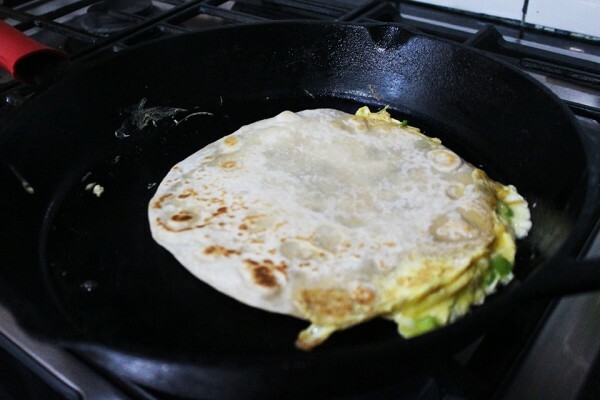 Flip tortilla over. 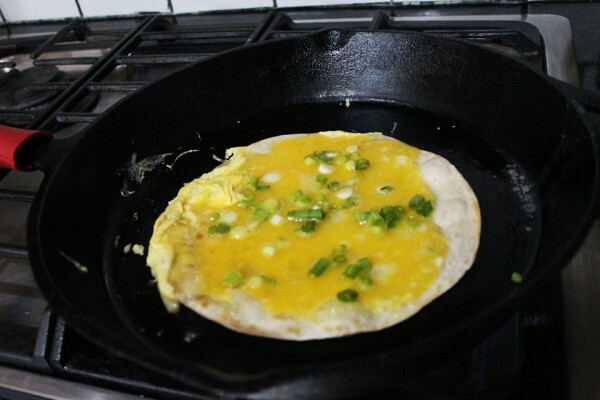 Slowly pour egg mixture over tortilla. Add green onion and allow it to set slightly. 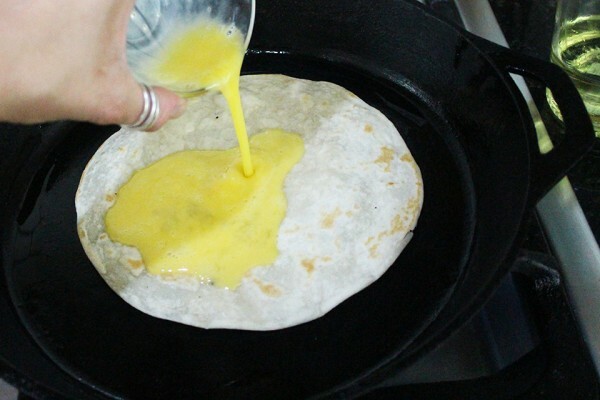 Flip it over - don't worry if the egg flies out from under the tortilla. Just use your spatula to push any stray egg back under. Fry for 1 to 2 minutes. 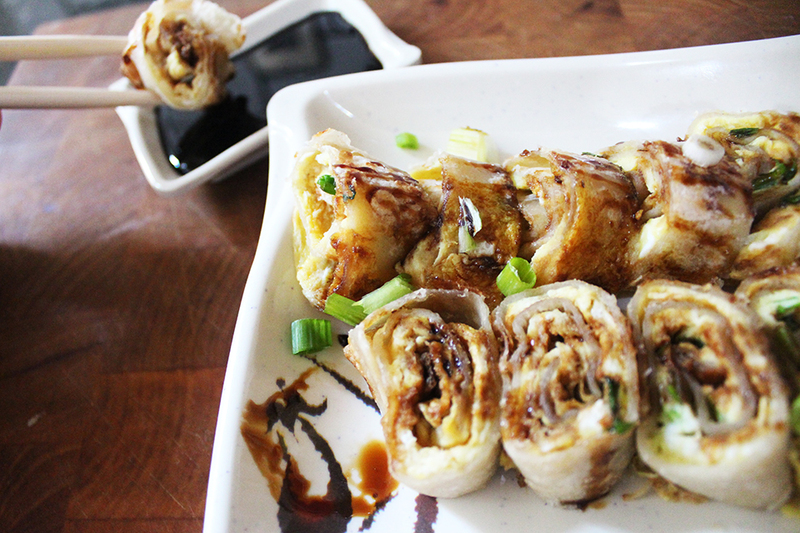 Roll tightly with egg on the inside. 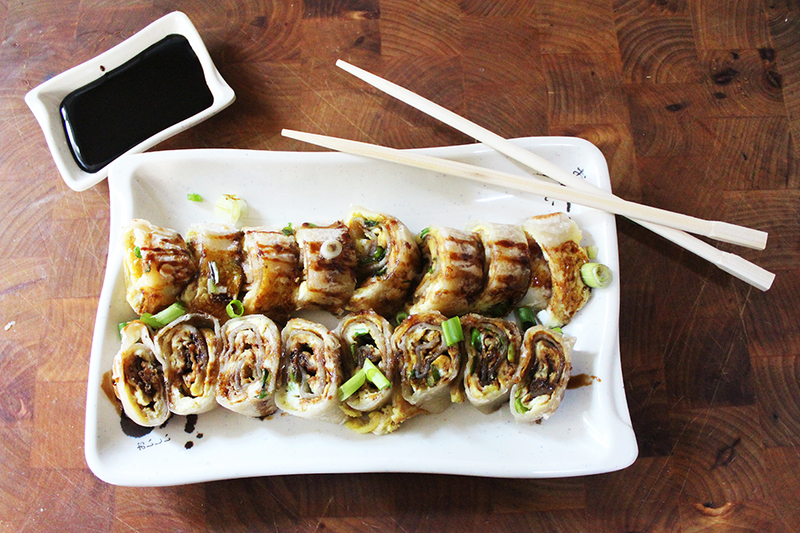 Slice into pinwheels. 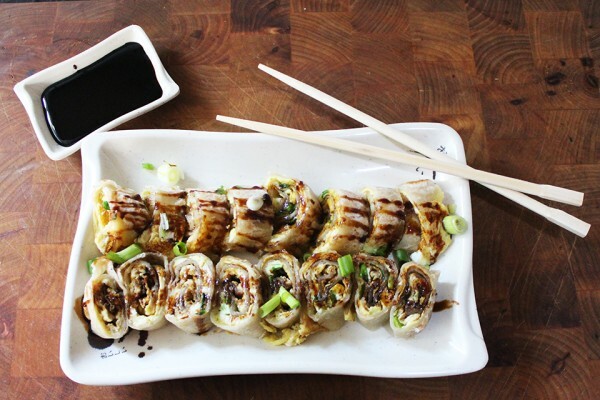 Drizzle with sweet soy sauce. 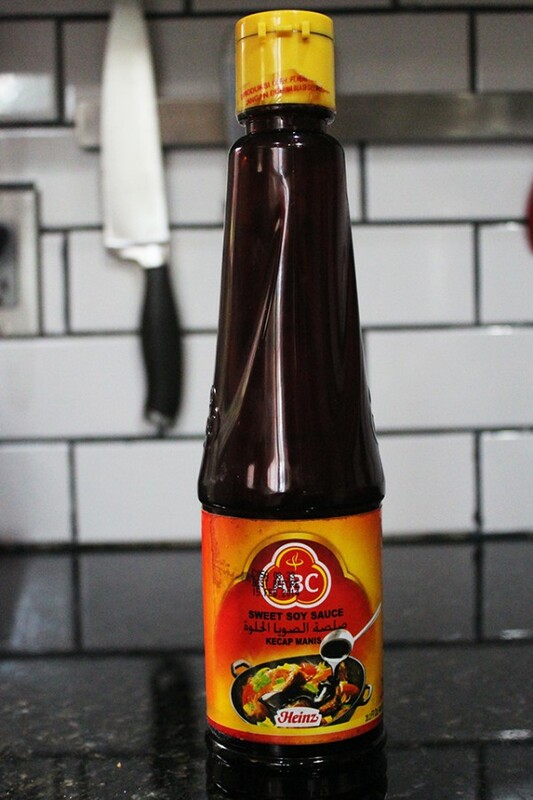 NOTE: sweet soy sauce is soy sauce that has been sweetened with palm sugar, flavored with star anise and (sometimes) garlic, and cooked down to a syrup consistency. You can buy it in Asian food markets, or most large grocery stores. 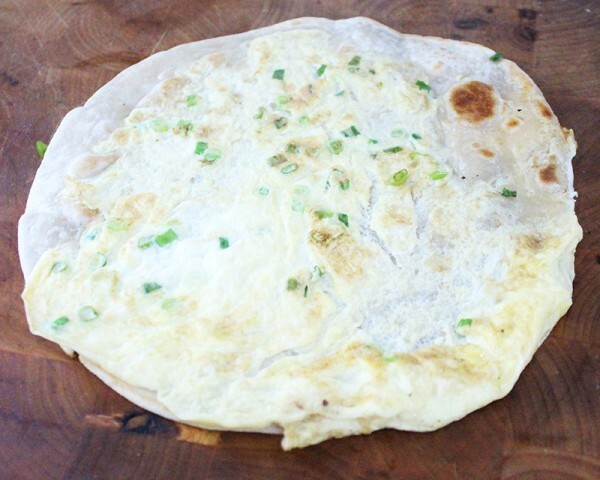 Top with green onions and have the best breakfast ever! 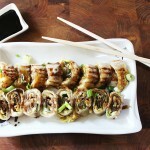 I never thought about making these with tortillas, I gotta try this! Thanks for the great recipe!